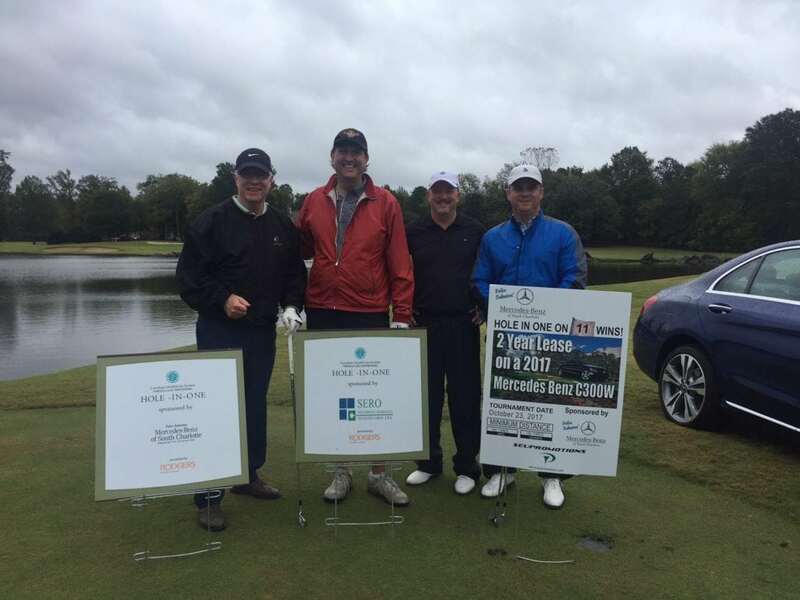 Southeast Radiation Oncology Group was proud to be a Hole-in-one sponsor of the CHS Pineville Golf Invitational. More than $66,000 was raised at this year’s tournament and the funds will go to support the Levine Cancer Institute at CHS Pineville. Dr. Burri participated in the ninth annual tournament, held on October 23, 2017, at the Providence Country Club. Pictured (left to right): Brian Kelly, BEK Ventures; Stuart Burri, MD; Chris Hummer, President CHS Pineville; Will Caulder, Senior Vice President, Construction Operations, Rodgers Builders, Inc.